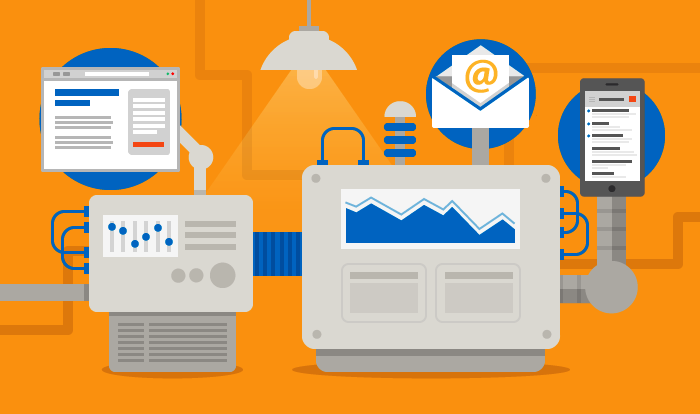 Yes, you read it correctly, automation for anyone and everyone! Since last month we have been busy playing with our new discovery… Autopilot! The platform delivers something as rich as Marketo, but with the ease of use that Mailchimp delivers. Next to price, our favourite part of Autopilot is the journey builder. Creating journeys are extremely simple. You can map out an entire marketing campaign on a single canvas with easy drag-and-drop Triggers and Actions. Autopilot helps you to visualise the lead journey along a marketing workflow from start to end. Autopilot comes with amazing guides to seeing up targeted “journeys” for your clients based on actions they’ve taken. This is extremely valuable in your onboarding process in planning out how you are going to communicate with your new clients with welcome emails, FAQ’s and survey invitations. It’s integration with Salesforce makes it easy to automatically get a campaign going, and its integrations mean you can sleep easy! Drag and drop: Used to create unique customer journeys you can change as you go with a drag-and-drop interface. Multi Channels: A single interface combining digital and physical APIs lets customers incorporate personal touchpoints, including SMS and postcards to build relationships. Connected: Integrates with other application including Salesforce, Twilio, Lob, Slack, Zapier, and recurly. Reporting: Includes real time journey analytics. If you need to know more about Autopliot and get help for implementation contact us today. I am a Salesforce Certified Cloud Specialist with over 10 years of technology industry and consulting experience. I’ve led enterprise Salesforce implementations for some of the most respected companies in Australia. I have proven expertise and a track record of success helping customers successfully implement, integrate and receive business value from salesforce.com’s solutions, specifically Sales Cloud, Service Cloud, Force.com, Salesforce Marketing Cloud, Salesforce Social Studio.